"Melvin follows the tradition; griot, storyteller, musicman. His poems are straight, clear thinking. In the words of Etheridge Knight, he too "sees through stone." Celebrate this new good book." "Ooh, baby baby - Melvin E. Brown, at times, writes the way Smokey Robinson once sang. Brown's latest volume is a book of remembrances. 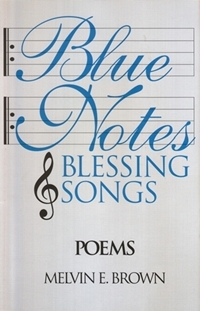 It's a collection of poems "coated" with the blues and filled with a special kind of love." "It ain't just poetry to me. I hear the codes for honest living, the quest to become a better human being. I hear the love of friendship and memory, and the love of memorable friendships. I feel the caring, the hurting, the loving, the healing, the hoping. It's the heart-to-heart that's really got a hold on me. Unh unh, it ain't just poetry to me." "Melvin E. Brown is a poet baptized in the blues black wellspring that is the origin of African American song, our valiant histories of struggle. He writes with the knowledge of adversity lined with ideas such as our blood is no more than ordinary juice and our bodies the most ordinary bread. Brown takes communion with the ancestral word in the manner of those black bards known and unknown. He is a poet well versed in the cityscape that I know, that of black folk in the melody of chance and hope, black men easing into history in times of polished Florsheims and high collar shirts, in times of painful change into the disconnected dance from be bop to hip hop. His poems are generation's signature, wise fingers on the black hand side of humanity that know the one song that ties all of life. 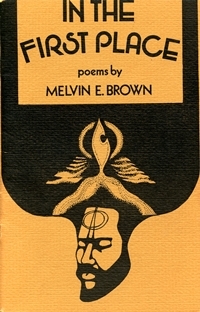 Melvin E. Brown is a Poet BlackMan of Letters who values all that is meant by the word home as it lives in our hearts."